The Virgo Galaxy cluster is a large nearby cluster of galaxies, that spans over 8 degrees of sky, and consists of over 1300 member galaxies. The cluster forms part of the Virgo super-cluster, of which the Local Group (with the Milky Way, M31, and M33) is an outlying member. 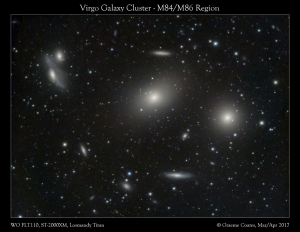 The cluster is approximately 50MLy distant, and is comprised of three main clumps, with the image here displaying the M86 “subclump” of the “Virgo A” clump. 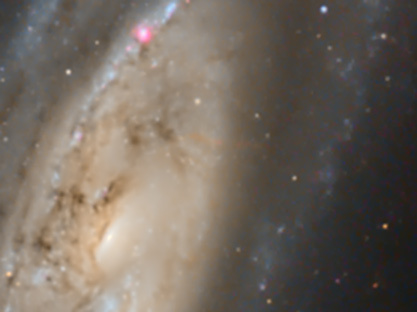 M87 (Virgo A itself), is just off the frame to the lower left. 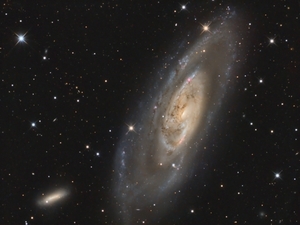 The three largest galaxies in the image above are M86 (centre), M84 (right) and the interacting pair NGC 4435/4438 (left – otherwise known as “The Eyes”). 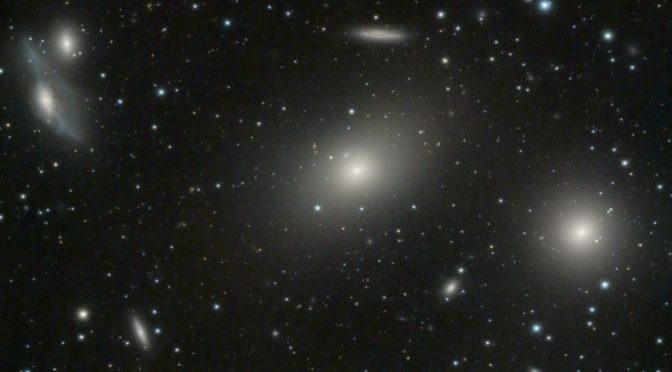 These galaxies make up part of the famous “Markarian’s Chain” which is a series of bright galaxies extending off frame to the top left (north-east). 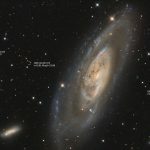 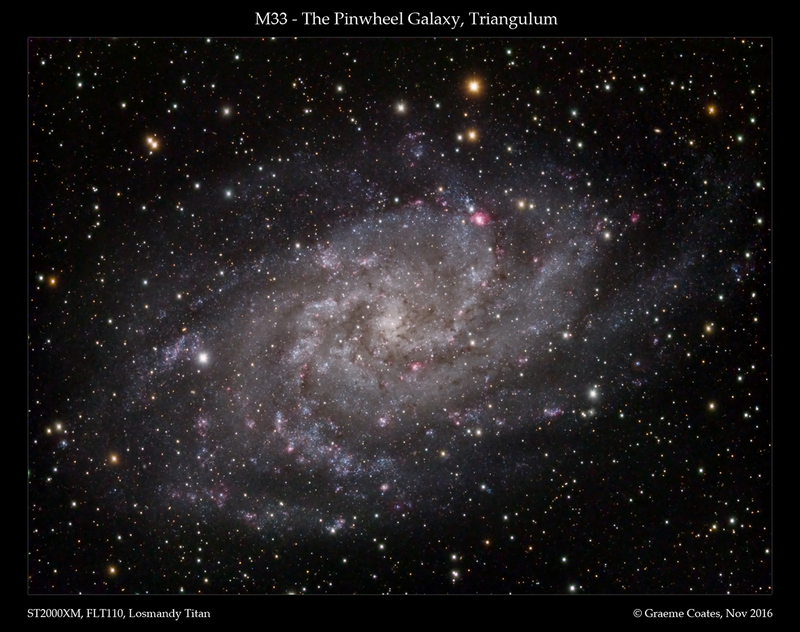 Also present in the image above are NGCs 4387, 4388, 4402, 4407, 4425, as well as several IC objects (including the odd blue irregular galaxy IC3355 at the top of the frame) and countless faint objects – some of which are highlighted in the annotated reversed image with galaxies highlighted from the SDSSR8 catalogue down to magnitude 20. 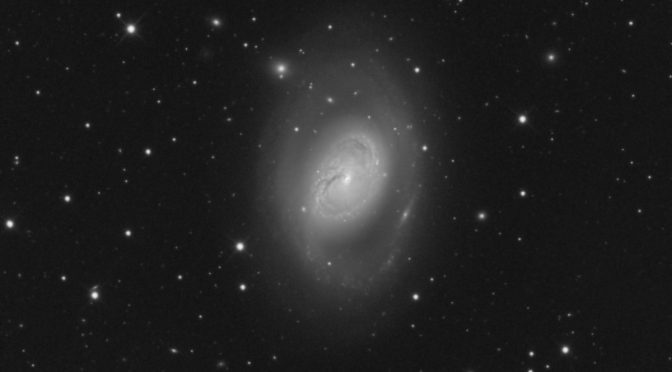 “The Eyes” make an interesting pair – the smaller (NGC4435) is a barred lenticular galaxy (an intermediate between an elliptical and spiral). 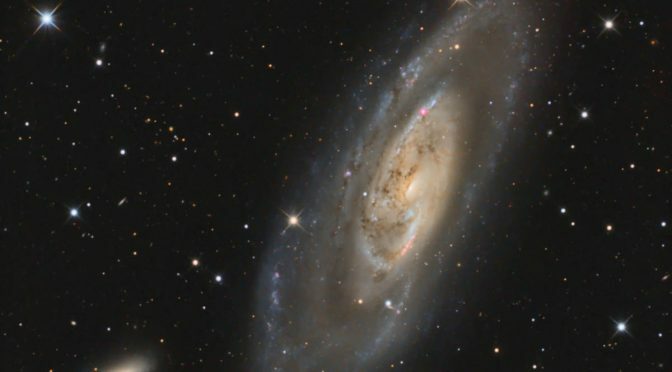 The larger NGC4438 is the most distorted of all galaxies in the cluster – with much of the disruption apparently caused by a past interaction with NGC4435. 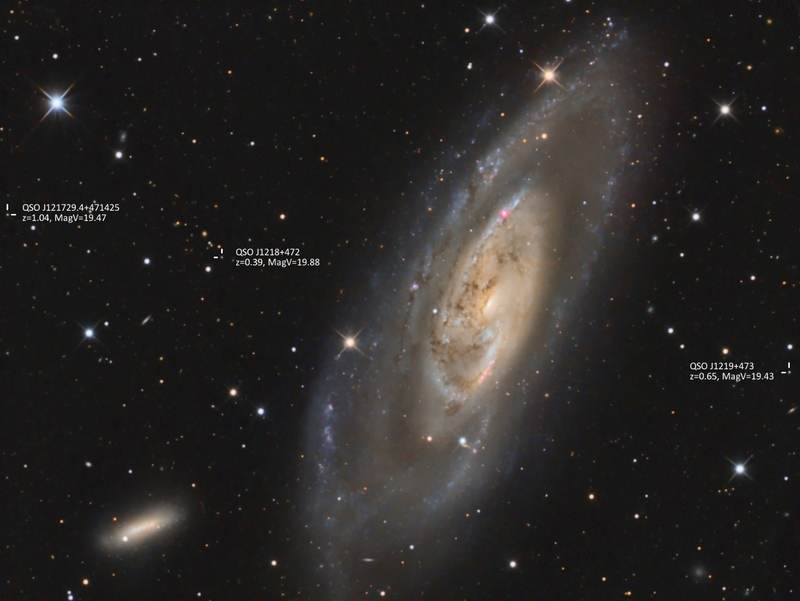 The detection of gas linking NGC4438 and M86 suggests that at some point all three galaxies have had past interactions. 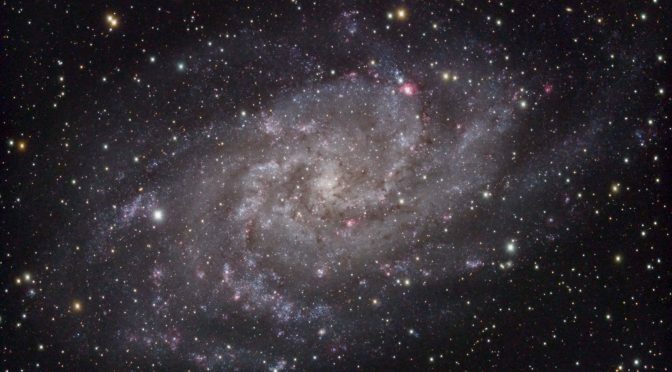 Additionally, there is some question as to whether the core of NGC4438 is powered by starburst (which may be as a result of the previous interactions), or whether it is home to an Active Galactic Nucleus, powered by a black hole. 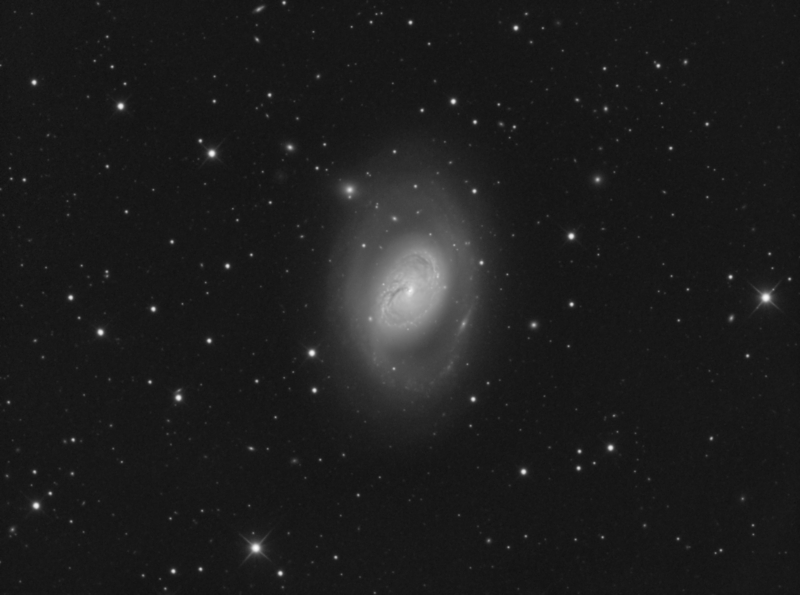 Data was taken over several nights during March and April 2017 from West Oxfordshire, UK using a WO FLT110, FLAT4 reducer, ST-200XM and Losmandy Titan. 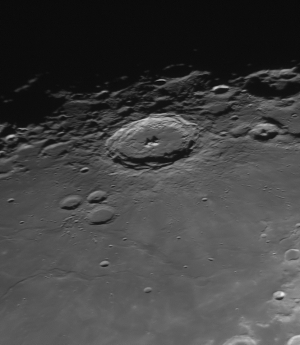 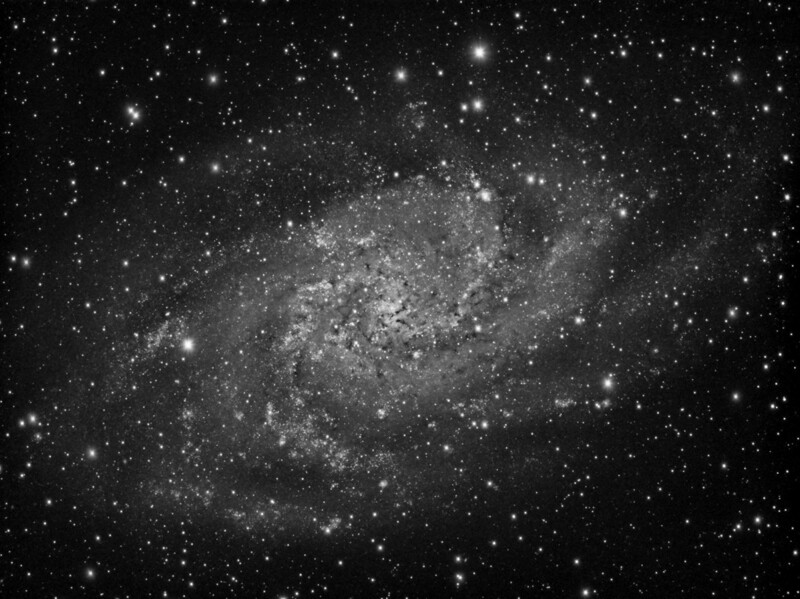 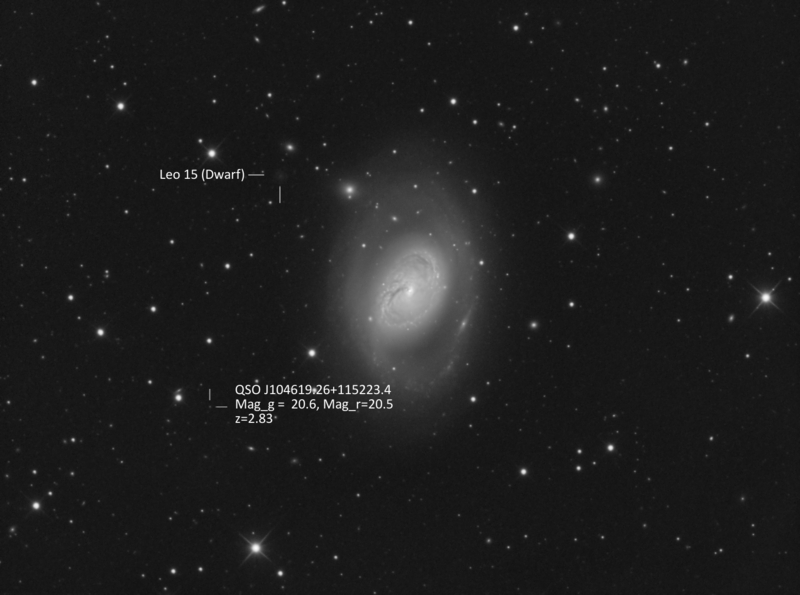 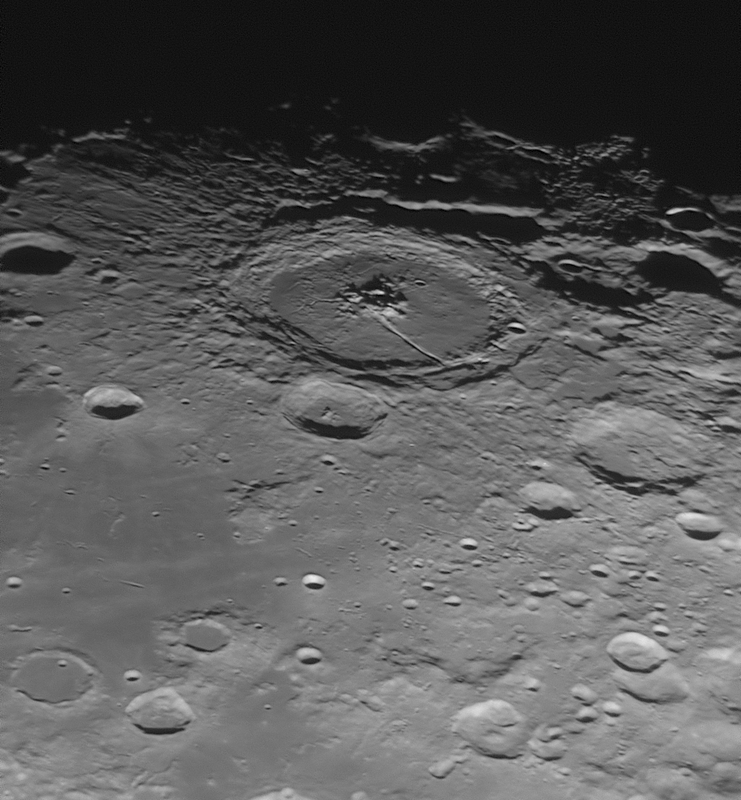 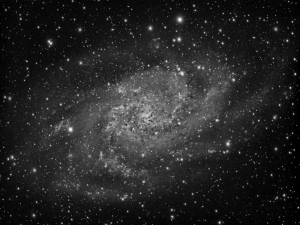 LRGB exposures were 240 (24x10min) : 75: 70 :70 (RGB in 5 min subs, 2×2 bin). Unfortunately, the flats didn’t reduce well here, so there was quite a bit of work in trying to eliminate gradients across the image – this may have restricted a little what I was able to pull out of the image data. 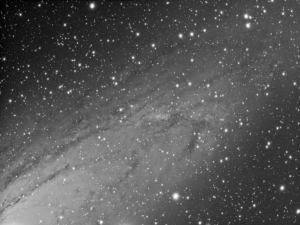 Presented here is a bit of a “nonsense image” of the Andromeda Galaxy, M31, that I grabbed early in the evening of the 22nd Jan 2017. 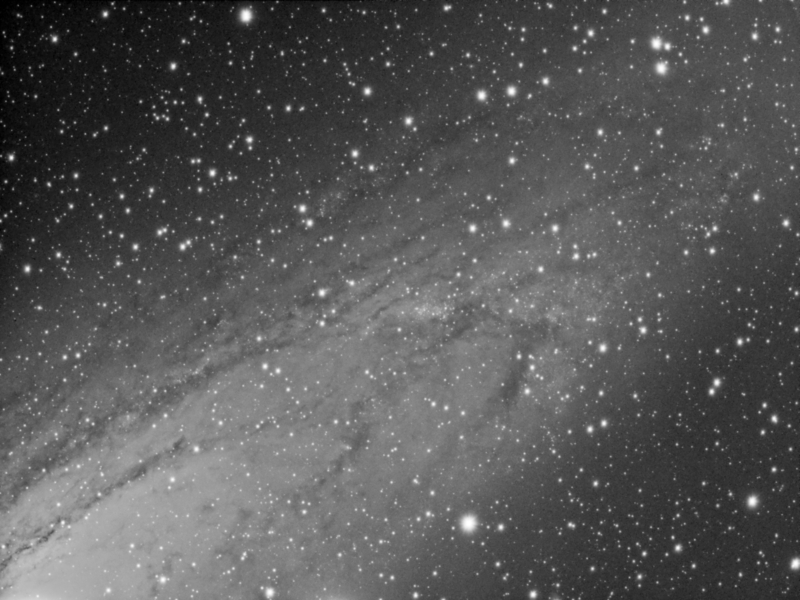 This was a quick run, mainly while I was waiting for another target to clear the tree near my observatory…! 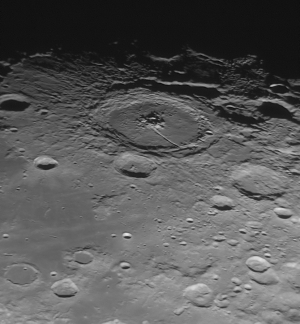 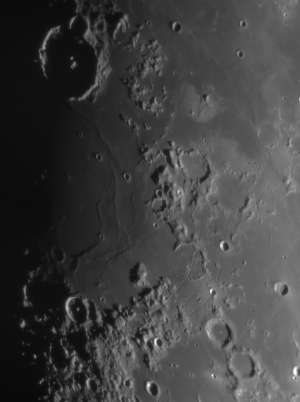 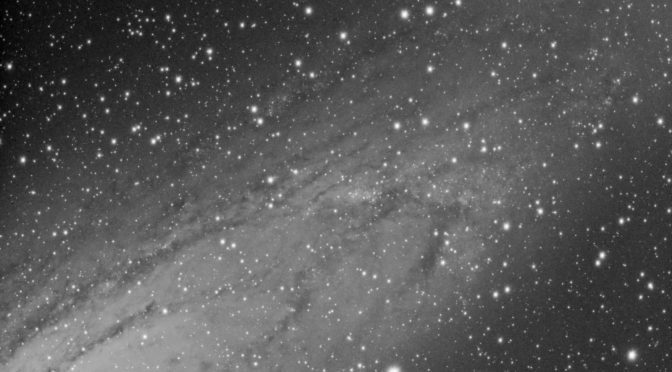 However, even in an image like this, which only consists of 14x5min exposures through a luminance filter, there is lots to be explored – first it gives me a good idea about future plans for a mosaic (though this will have to wait until the autumn now, and may be a major undertaking…). 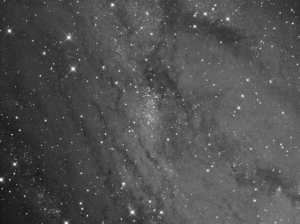 It also gives a good view of NGC 206, which is a bright star cloud in M31, and I plan to image this alone at longer focal lengths later on. 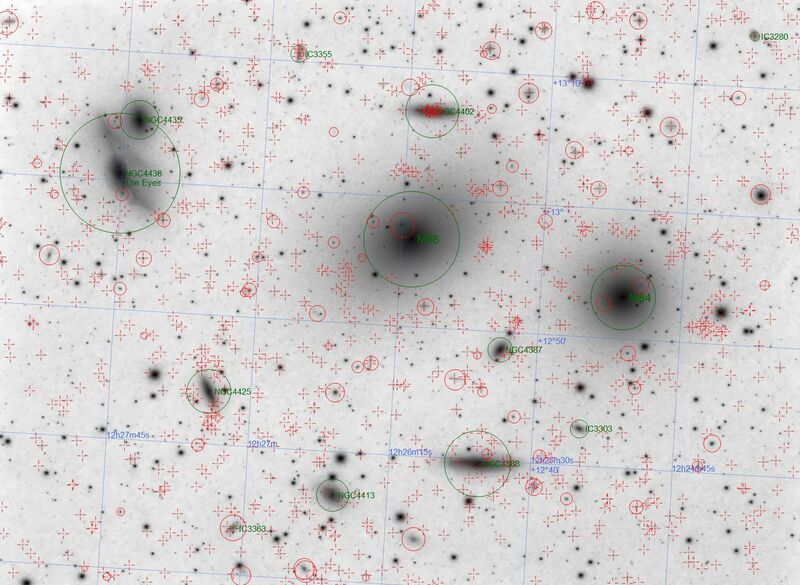 Also, it allows me to explore objects in the Bologna Catalogue 1. 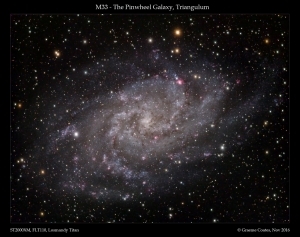 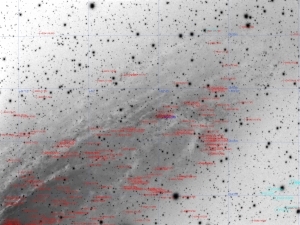 This catalogue is not one that comes immediately to mind when talking about deep-sky objects – but it is a very specialised list describing globular clusters (GCs), candidate GCs and previous candidate GCs in M31. The up to date version of the catalogue is freely available on the Bologna Catalogue website and can be downloaded, manipulated and used as a source of information for the Annotate script in Pixinsight. 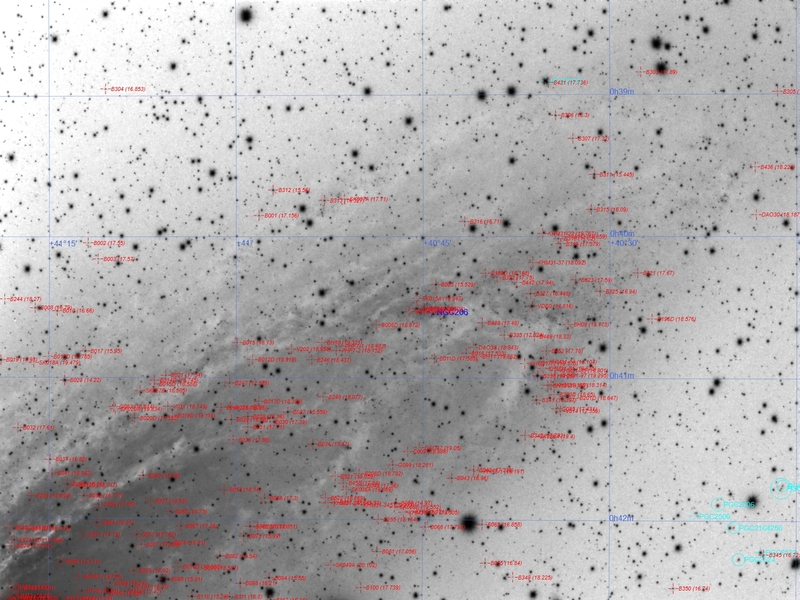 Presented here in negative format is the south west region of M31, with overlaid markers for the confirmed GCs in the Bologna Catalogue v.5 (with associated V magnitudes) in red, as well as a few small PGC galaxies that loiter in the field marked in light blue. 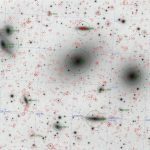 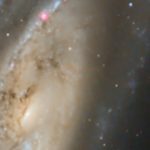 There are 181 marked objects alone in this field – most of which have been successfully captured using just a small 4 1/2″ refractor!